Everyone understands that self confidence can be boosted with sparkling white teeth. Our team at Paul Lowe Dentistry in Solihull can turn your dream into a reality this Christmas. There are lots of reasons why teeth can appear stained and discoloured. 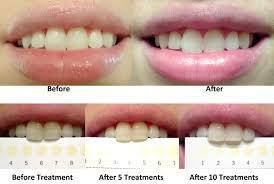 To some extent these stains can be removed by a clean and polish by our hygienist. For those stains that can’t be removed, why not treat yourself and take advantage of our special Christmas offer of only £199 for a teeth whitening session. The team at Paul Lowe Dentistry can help you regain that white sparkle by providing regular clean and polish sessions and with special teeth whitening trays, that will have your teeth looking great in a short space of time. Tooth Decay needs to be treated by restoration using modern white filling materials and old crowns can be replaced with new, metal free porcelain ones. All the other causes can be addressed by tooth whitening using hydrogen peroxide gels. If you would like to book a Christmas teeth whitening session or would like advice on how to avoid teeth staining pop into the practice today or call 0121 711 2424. The current teeth whitening offer ends on December 31st. So book your way to a whiter Christmas and New Year!